Scotland's privatised rail operator has been under fire for dire performance in recent months. But a Scottish Labour motion to renationalise the system was defeated. It’s a common allegation levelled by Scottish Labour: that the SNP’s left-wing rhetoric does not match up to the party’s actions in government. Now Scottish Labour say the SNP and Conservative members of the Scottish Parliament have teamed up to block nationalisation of Scotland’s railways. In a crucial debate on Wednesday, Scottish Labour urged the government to use a ‘break clause’ in Abellio’s contract to run ScotRail. Abellio have come under huge criticism over the past month, after figures revealed that ScotRail’s performance level was at its lowest since the franchise began. 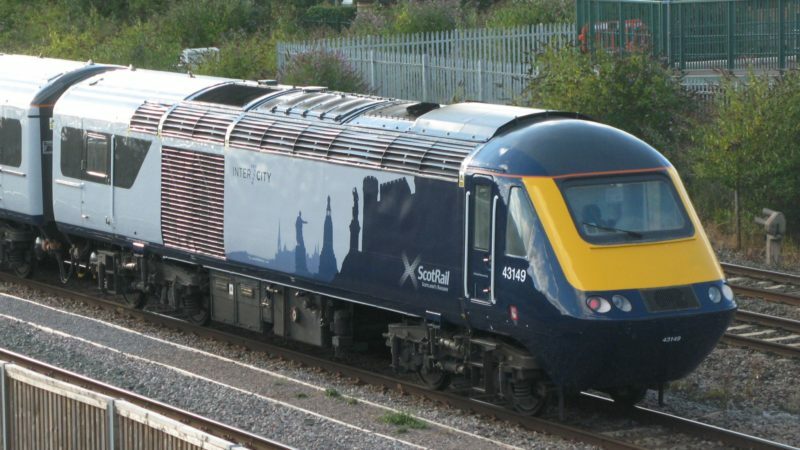 But SNP and Tory MSPs voted against the proposal to end the franchise early, meaning ‘passengers [will] continue to suffer at the hands of this failing franchise’, according to Scottish Labour. “Hard pressed passengers across the country will be disgusted to see the SNP and the Tories block Labour’s plans to end the privatisation of Scotland’s railways. “Abellio was supposed to be a world leading contract for ScotRail. Instead passengers are suffering from overpriced, overcrowded trains that are frequently cancelled. “Time and time again the SNP choose not to use Holyrood’s substantial powers in the interests of the many, not the few. “This is a real wasted opportunity for Scotland to take control of their railway and run it for people, not profit. Scottish people want public ownership, not more of the same disruption and failure in private hands. Unions were also angered at the move. “Nationalisation of ScotRail at the earliest opportunity is in the best interests of Scotland. It would give us lower fares and better investment in trains” said TSSA general secretary Manuel Cortes. “We know performance is not where it should be – that is why ministers can and do hold Abellio ScotRail to account within the terms of the franchise agreement. The vote to continue the privatised model came just hours after ScotRail boss Alex Hynes confirmed media reports that the franchise had received advance subsidy payments from the Scottish government for forthcoming financial years. While nationalisation of Scotland’s railways is off the cards for now, this saga will only fuel public anger at privatised railways.